Lafarge’s extensive mining expertise can be leveraged to provide customized, safe and economical solutions for any stage of the mine life cycle. Collaborate with Lafarge at the design phase to optimize your mine plans, reduce cost and save construction time. From wet shotcrete to paste, hydraulic, cemented or rock backfills, we have the expertise to be a single-source supplier for mining needs. Shotcrete’s high strength makes it ideal for fast resumption of operations throughout the mine. 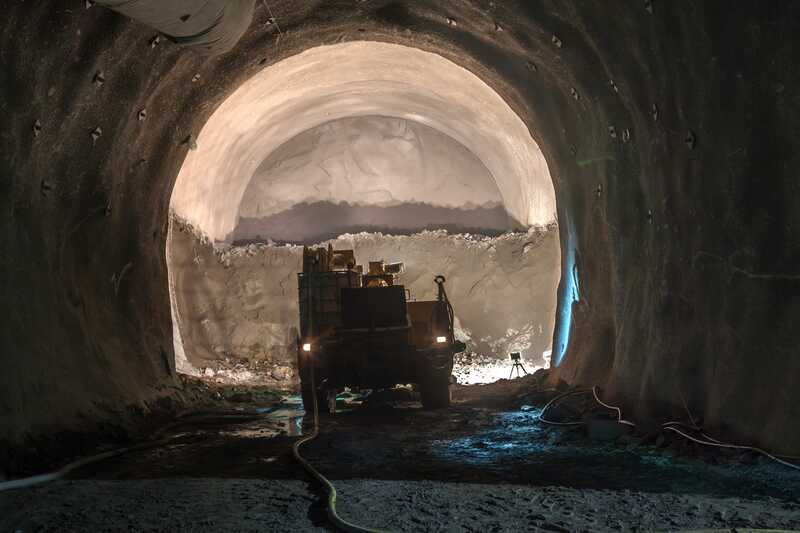 Lafarge takes wet shotcrete application to the next level. We produce and test quality shotcrete mixes to ensure optimal product performance. We’ve partnered with mine owners for over 20 years to safely deliver wet shotcrete. It can significantly reduce costs and labour compared to dry shotcrete while improving safety and site conditions. Lafarge has unique mixes that address the challenges of building shaft linings. These mixes offer ease of placement and facilitate accelerated construction schedules. Overhead Lafarge provides paste backfill plant design setup, support and operation allowing the mine owner to focus on their key deliverables. Lafarge has extensive experience managing backfill services including tailings handling, sand excavation, aggregate production, provision of binder material and the paste backfill plant operation itself. Lafarge offers Terraflow™, a high performance binder designed to reduce the cost per tonne of poured, cemented backfill. Let us manage backfill supply, and focus your energy on ore extraction. Lafarge has the expertise to help design and construct concrete head frames. Concrete is often the best option to build head frames as it is stable under mechanical vibrations. Unlike steel structures, concrete head frames do not Corrode. We have helped build slip form head frames at mines across Canada, around the clock, with a continuous and consistent supply of concrete.